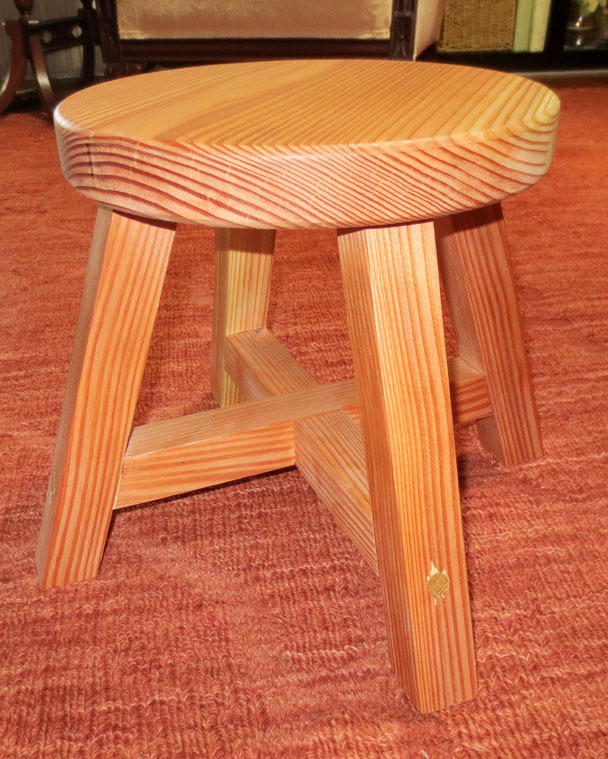 This is a handy little stool that's made to be used in the kitchen, bathroom, garage, or any place where you might need a little more height. It's about 11 7/16" high and its top is about 11" in diameter. 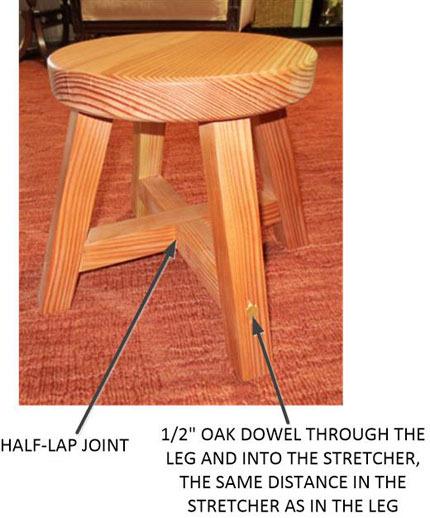 Though it's possible to tip over any stool, this one was designed to make that possibility less likely. This was accomplished by flaring the legs out far enough so that they extend beyond the edge of the top. Strength is assured by using mortise and tenon joints to join the legs to the top, half-lapped stretchers to stiffen the structure, and dowels with glue to join the legs to the stretchers. No metal is used. Everything is made with redwood except the dowels, which are oak. It's finished with clear satin spar urethane.